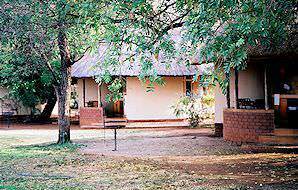 The Kruger National Park's rest camps are the way local visitors have been enjoying the park for decades. 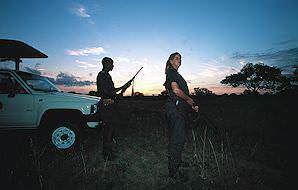 Berg-en-Dal is located in southwest Kruger in an area known for the prevalence of rhinos. The camp is the most easily accessible by road from Johannesburg and should be considered by those planning a short overland trip to Kruger. Lower Sabie's location on the Sabie River makes it one of the most sought-after rest camps in the Kruger Park. Game drives to the more open central grassland of the park as well as to the southern region with its high density of rhino are very convenient from Lower Sabie. 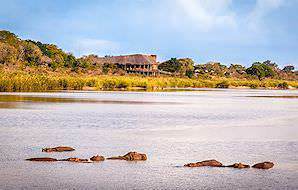 Skukuza is the main rest camp in the Kruger National Park and enjoys a perch overlooking the Sabie River. It has a larger shop than any of the other camps and also boasts two restaurants for your convenience. 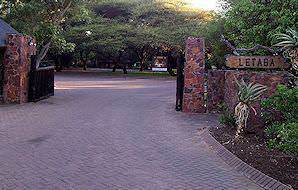 Satara is situated in the heart of Kruger and is surrounded by sweeping open plains which draw large herds of grazers. Of course these are followed closely by lion prides and other predators. If the quality of game viewing is your primary concern, Satara is a good choice. 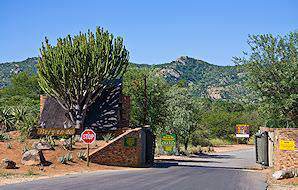 Set on a hill overlooking the valley of the Olifants River, this camp offers one of the park's most spectacular views. The central area has been modernized recently and offers a good restaurant and a small shop where essentials can be purchased. 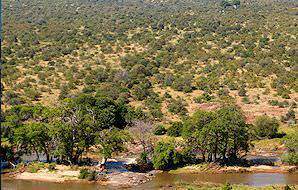 Letaba is one of the most beautiful rest camps in Kruger and enjoys spectacular views of the winding Letaba River. It also has the distinction of being home to the Elephant Museum, where some of the largest tuskers that ever lived can be seen. South Africa is one of the most exciting travel destinations on the continent. Namibia desert safari activities are a unique and exciting way to experience Africa. Zambia's top destinations include the Victoria Falls and South Luangwa National Park. Zimbabwe is home to some enchanting off-the-beaten-track safari areas. Mozambique's appeal lies in its pristine beaches and colorful coral reefs. The Kruger National Park is an awe-inspiring wilderness area that offers a wide range of safari experiences, from fly-in packages to overland adventures. The Sabi Sand Private Game Reserve is one of South Africa's premier safari destinations, boasting a fine collection of luxury lodges. Cape Town is South Africa's top tour destination, offering a diverse range of exciting travel experiences. The Garden Route is flush with natural spoils, from the temperate waters of the Indian Ocean to the treetops of the Knysna forest.